Arrive during afternoon at Dimapur and get a warm welcome by our representative along with an assisted transfer to the Kohima Camp. As you arrive at the camp, get mesmerized by the incredible surroundings adorning the foothills of the majestic Japfu Mountain. Also get treated to a warm traditional reception of the Nagaland Tribes. 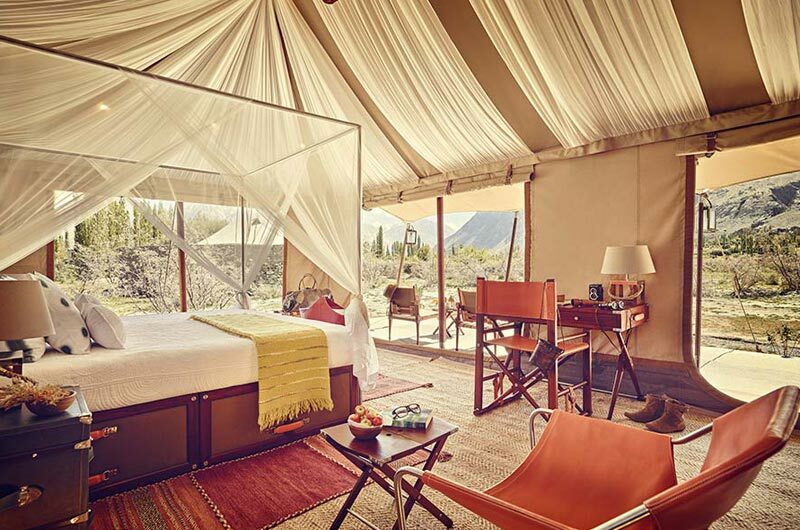 Thereafter, proceed to your luxury tent where all the formalities pertaining to Check-in will be performed by the Guest Relations Hostess. The evening is at your leisure. Enjoy the relaxing environs of camp and indulge in the mouth-watering feasts prepared by our expert Chefs. Relish your evening and night with a drink, around the campfire and savor your meal within the peaceful ambience of nature and luxury. Overnight stay at the camp. Post breakfast, brace yourself up to enjoy the amazing riot of colors with Hornbill Festival. Proceed by road to the Kisama Village and indulge in the rich cultural traditions and classic arts of the 16 Nagaland Tribes that participate in the festivities. As you delight in the occasion, notice the wonderful attires, headgears, dance forms, handicrafts, paintings, cuisines, folk music besides other unique and exotic impressions of the tribes and sub-tribes of Nagaland. The amazing display of skills, fashions, traditions and interests of the Naga People is bound to leave you enthralled and enchanted. To further enhance your excitement there are thrilling competitions like motor rally, wresting, archery, chili eating contest, climbing a greased bamboo, besides a literary fest as well. Also enjoy a delicious, sumptuous lunch at the festival. The evening is at your will. You have the option of returning to the revelry of the Hornbill Festival in Kohima. Participate in the celebration of Naga Rock Music with talented artists and also explore the night bazaar for any souvenirs and local items. Savor the unique fashion show and enjoy to the hilt, the wonderful Miss Nagaland Contest. 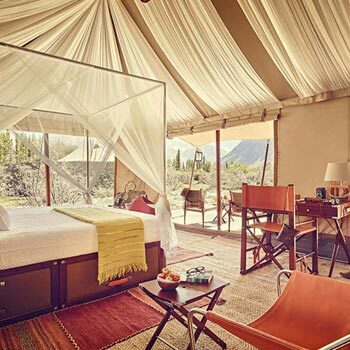 Return to your camp for a delicious dinner and a comfortable and luxurious night stay. Post breakfast, proceed for your final day at the Hornbill Festival. Participate with the tribes and indulge in their festivities as they entertain you with their distinct culture, costumes and performances as well as traditional Naga ceremonies. After this, you have the option of relaxing within the peace and luxury of the camp or you can move out to explore the quaint sceneries of Kigwema Camp, just few kilometers away. One of the many beautiful villages of Kohima, the name Kigwema means "inheritance of the house" and it is believed that other Angami villages also originated from here. During the Japanese Attack on Kohima, the common villagers provided shelter to the forces. Walking through the village, one come across many lanes and by lanes and beautiful woods. You can also experience the traditional Angami Way of life over a cup of tea. Enjoy appetizing Naga meals and return to the camp for the overnight stay. After breakfast, its time say "goodbye" to the fabulous land of Nagas. Proceed towards to Dimapur Airport with our representative for your onward journey.